Lance Drummonds is a singer/songwriter/pianist who has been hitting up stages across NYC for awhile now. Personally, I think Lance’s big night would have definitely been him opening for Laura Izibor at SOB’s. Controlled and relaxed, Lance took to the stage and had a stellar performance. It was set in stone that night, the only direction for him to go was ‘up’ and I’m sure he had no plans to look back. And judging by these pictures from The Front Page in DC on NBC Washington, that’s exactly what Lance Drummonds continues to do. 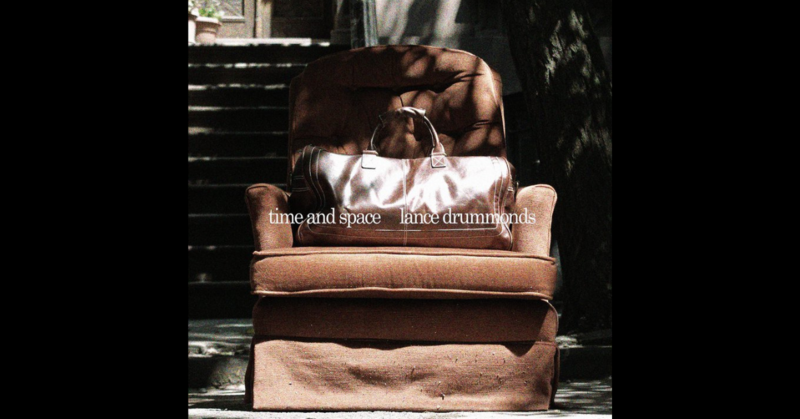 Time and Space is the debut album from Lance and what a debut it is. As I pressed play, I was transported. I felt as if I had that brown leather weekend bag on his cover, packed and ready to go, with endless possibilities on the horizon. The album begins with the title track. The piano riff at the beginning is extremely reminiscent of Brandy & Monica’s stellar duet until Lance’s voice drifts in asking to be ‘turned up’ and demanding for time and space. And this is where the song becomes his own. My new favourite track on the album “Long Drive” is absolutely crafted for that I-need-to-escape moment that everyone needs now and then. Lance sings, “I take a little trip for the day/so I can ease my mind/I need a long drive.” Coupled with the complementing piano melody and Lance’s voice, it’s perfect. Listening to him come to grips about a breakup on “Share My Heart Again” is heartfelt, whereas “Transition (Piano Solo)” would have whetted my palette even more if it was a full track. The instrumental showcases Lance’s prowess on the keys, however, it being a two-minute tease, is a killer. The upbeat session begins here with “Glimmer In The Sky,” a fun and simple declaration of independence for anyone after a break up. The only downturn on this track is the call and response midway through the song. It, unfortunately, takes away from the track. “Gon’ Love Me” brings you back to that 80’s club where you used to cut it up to the dance and R&B tracks of the era, right down to the beatboxing at the end. “Fallin” falls into the same 80’s era category as the latter, where the chorus is catchy and easy to sing-a-long to. And then we come to my other two favourite tracks “The Opposite Of No” and “Selfish.” Both very different songs, but exceptional in their own right. With influences from Lenny Wiliams, exquisite vocals and a fun play with words – there is no doubt any man singing the former track to me will get whatever he wants. As for the latter, “Selfish” comes close to being an a cappella with his background singers, but Lance’s bursts of piano playing keep you expecting the unexpected throughout. The album ends on a dance note with “Be With You,” which happens to be the only song on the album I can do without. It would have been seamless for me if it ended on “Selfish.” The premise of perhaps messing around on the boyfriend/girlfriend at home is a bit tired and doesn’t really ‘fit’ on the album for me. All in all, this is a phenomenal album from Lance Drummonds. It is an album that I have had on play for quite some time. Press play and allow yourself to be transported by Lance through Time and Space. Look out for Time and Space to be released on August 9th, 2010.